You can always check who RSVP'd to your events, update the information, or export it. 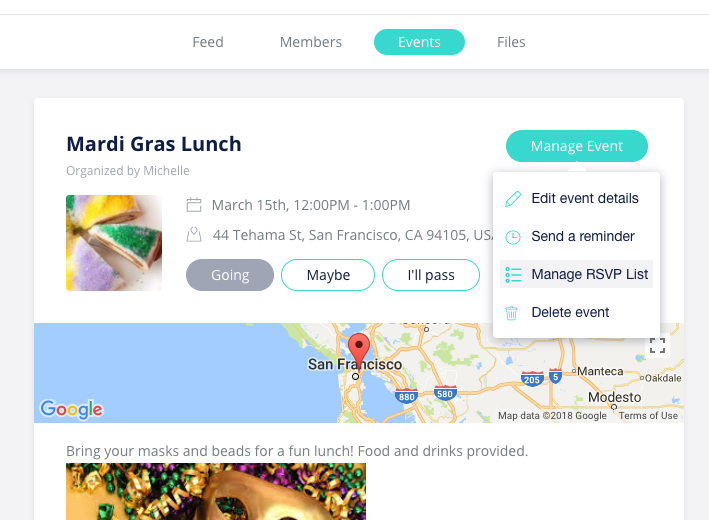 On your event page, click Manage Event and then Manage RSVP List. In the popup, you can use the drop down menu in the top left corner to see everyone based on their response type. 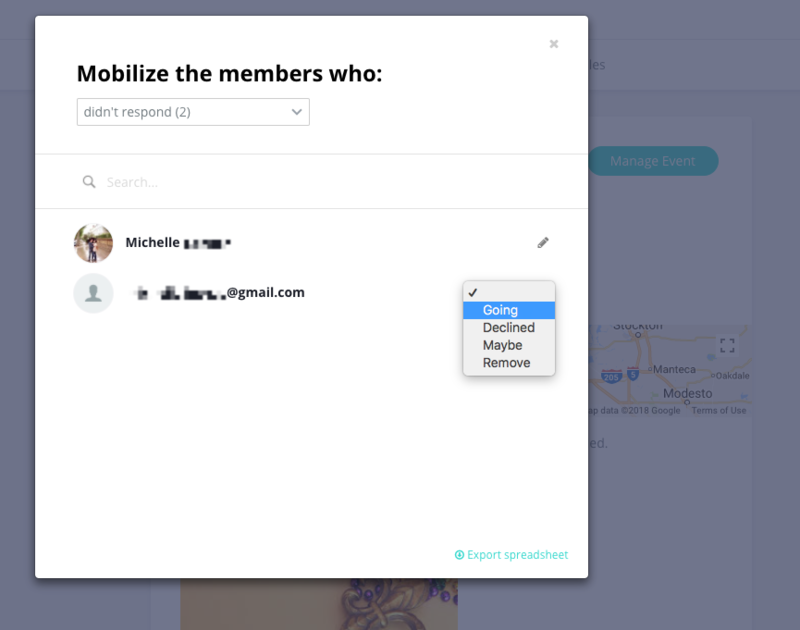 In addition, you can change the RSVP of someone on their behalf, and in the bottom right corner you can click Export spreadsheet to export that list of members based on their RSVP.